Do You Know This Job Search 'Secret'? Do You Know This Job Search ‘Secret’? There are a few ‘secrets’ of job searching that IT recruiting agencies find candidates don’t always know. One of the most helpful ‘secrets’ that IT staffing firms share with candidates is that you don’t need to meet 100% of the requirements listed for a job in order to apply. Here’s why technical recruiters suggest you apply to jobs, even if you don’t meet every bullet point in the description. 1. Particularly in the tech field, things are constantly changing. Technologies change, client needs change, and the scope of projects change. This means a company’s hiring needs are constantly changing too. If a project changes, it could mean a company that needs to fill a job may suddenly tell their IT staffing agencies to seek out candidates with a slightly different skill-sets. If you meet most of the requirements of IT jobs, you may be exactly what an employer is seeking—they just didn’t know it when they posted a job description. 2. A job posting is often more of a wish list. Especially in the US, where there’s a real lack of qualified IT professionals, employers may realize that they can’t find somebody with all the skills or experience they want. Or perhaps they realize that they can’t meet the salary needs of somebody who would match their job posting perfectly. This is why IT recruiting firms suggest you apply to jobs you meet most of the requirements for: you may be the perfect candidate for this employer, even though you don’t tick off every box on their list. Your skills and experience may be enough to take on the role they’re hiring for. 3. The last reason IT staffing companies recommend applying for a job you’re not a perfect match for is that you may have the kind of personality or soft skills that make up for a technical deficit. Tech employees are becoming more integrated in companies and working more with end users or clients, people skills are becoming a paramount part of IT roles. You might be missing a few technical requirements for a desktop support role. However, if you have excellent customer service skills and infinite patience, you could still be the right person for the job. 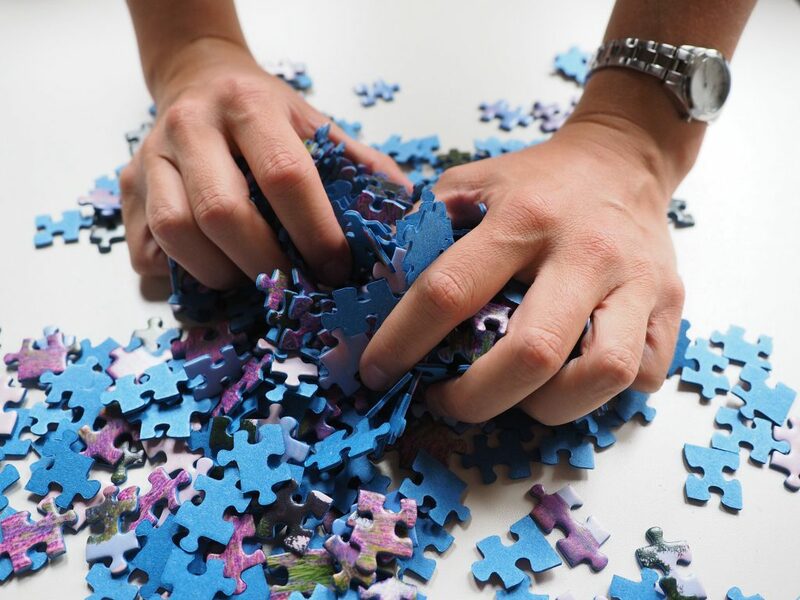 A job description isn’t like a puzzle– it’s not always necessary to have every piece. Photo credit: Hans via Pixabay. This entry was posted on Wednesday, October 12th, 2016 at 11:29 am and is filed under Advice from IT Recruiters, Infrastructure Support - IT Staffing Services, IT recruiting, Telecommunications Staffing & Recruiting . You can follow any responses to this entry through the RSS 2.0 feed. Responses are currently closed, but you can trackback from your own site. Pingback: Why Were You Rejected from that Tech Job?